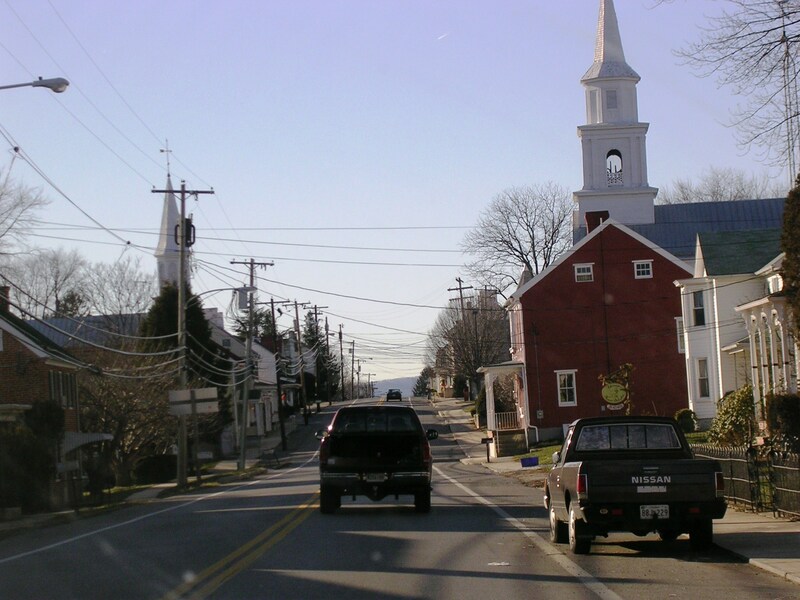 It had snowed 16 inches Christmas week, and even 3 days after the last real snow, not all the roads had been plowed. Go Cleveland. 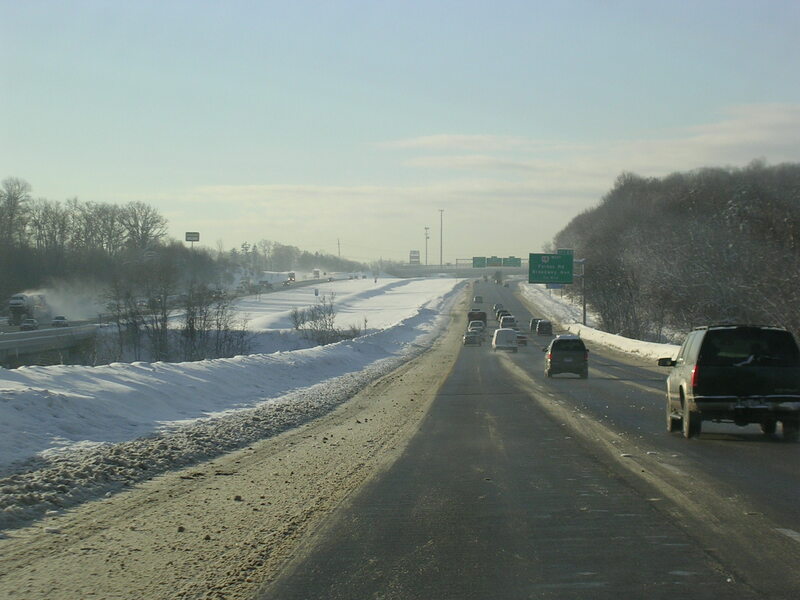 This is I-480 EB east of I-271. 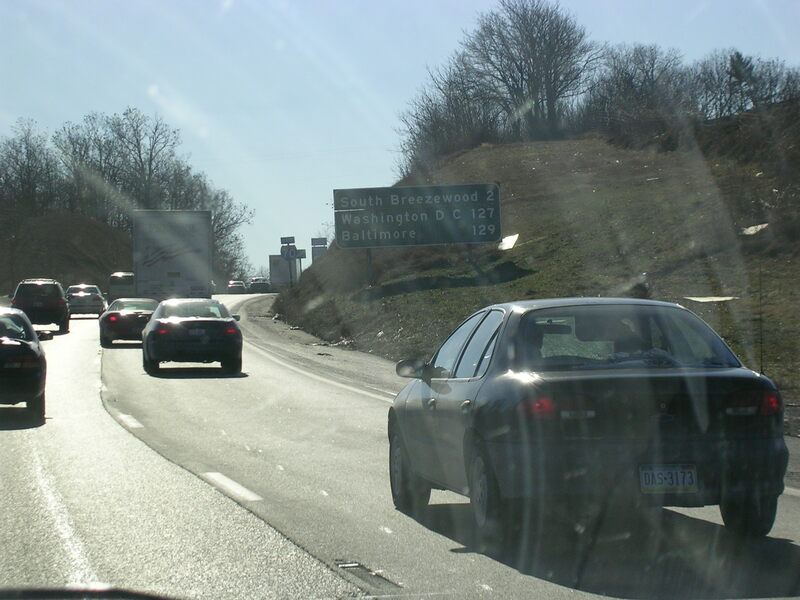 Now on the Ohio Turnpike (I-80) EB. 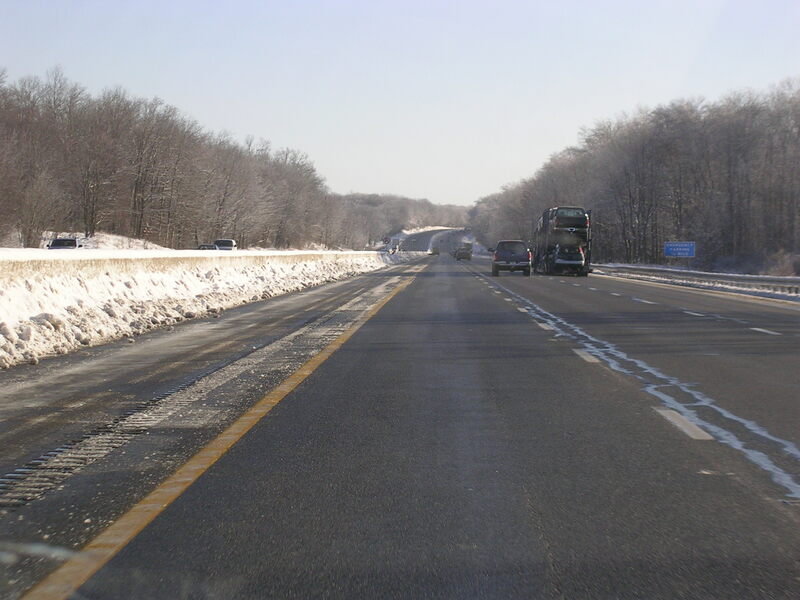 The roads were a little better on the turnpike. 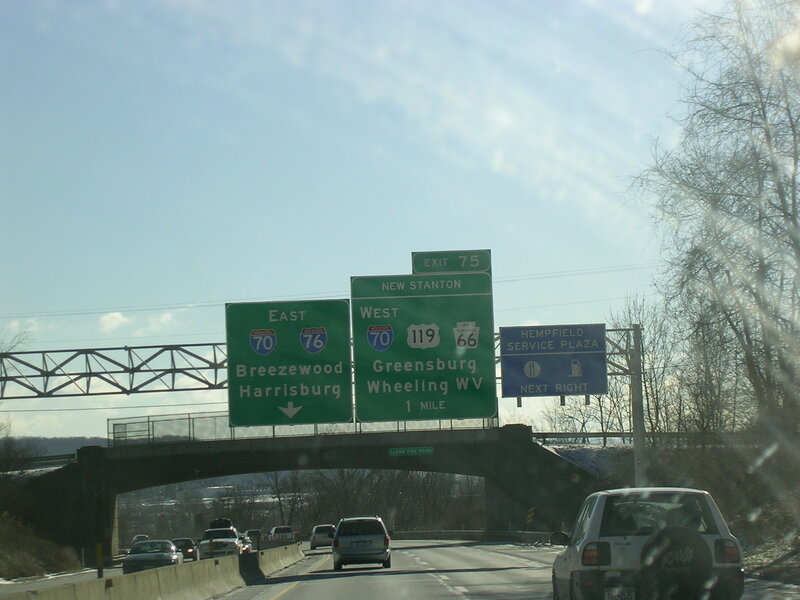 I-80 left the turnpike at Youngstown, and I-76 joins us for the ride into Pennsylvania. Still EB on the Ohio Turnpike. 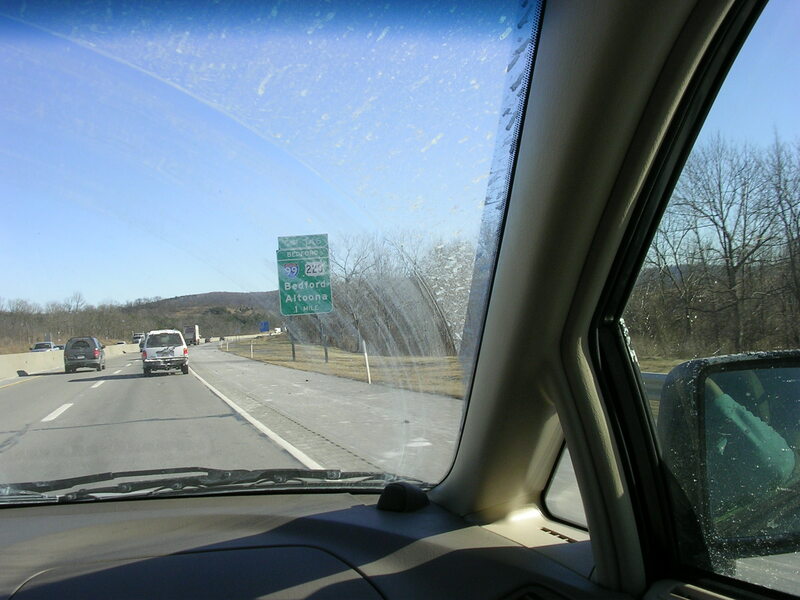 That would be windshield washer fluid interrupting the view of I-76 EB still in Ohio. 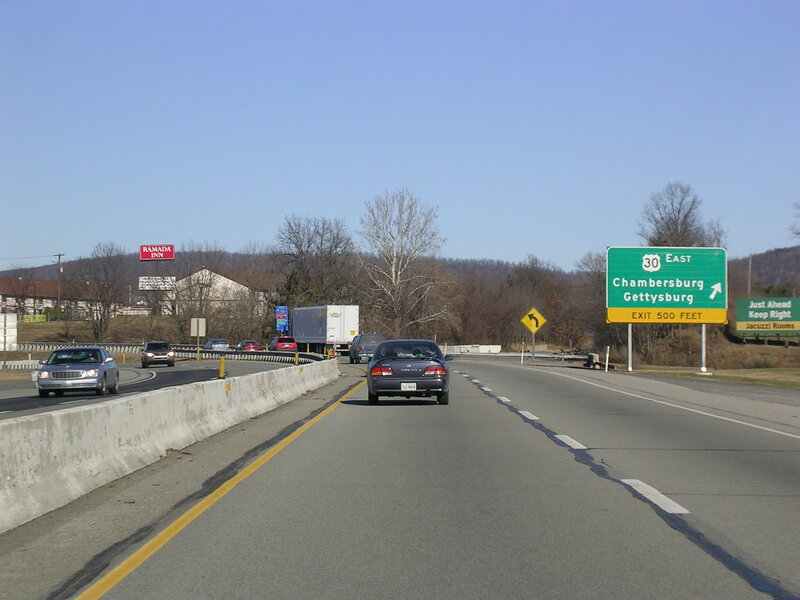 Now we're EB on the Pennsylvania Turnpike, which is still I-76. 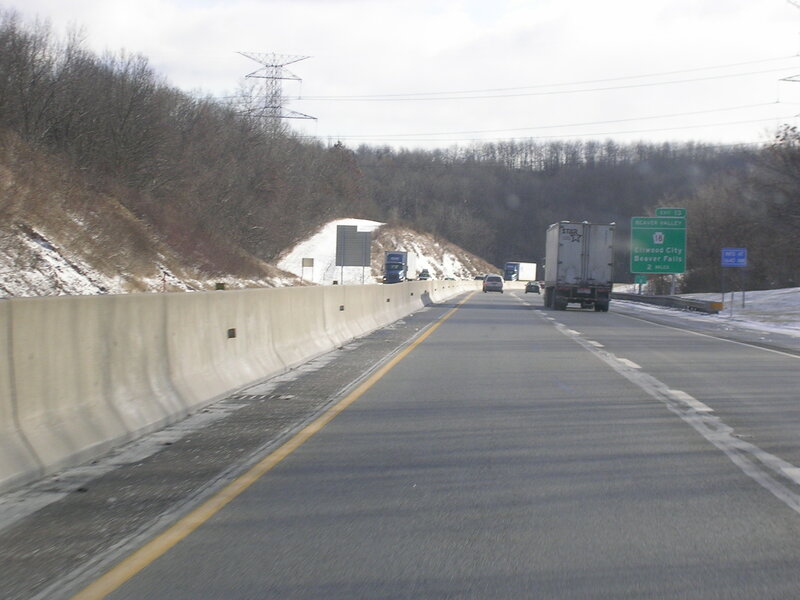 I-76 EB at I-79 near Pittsburgh. 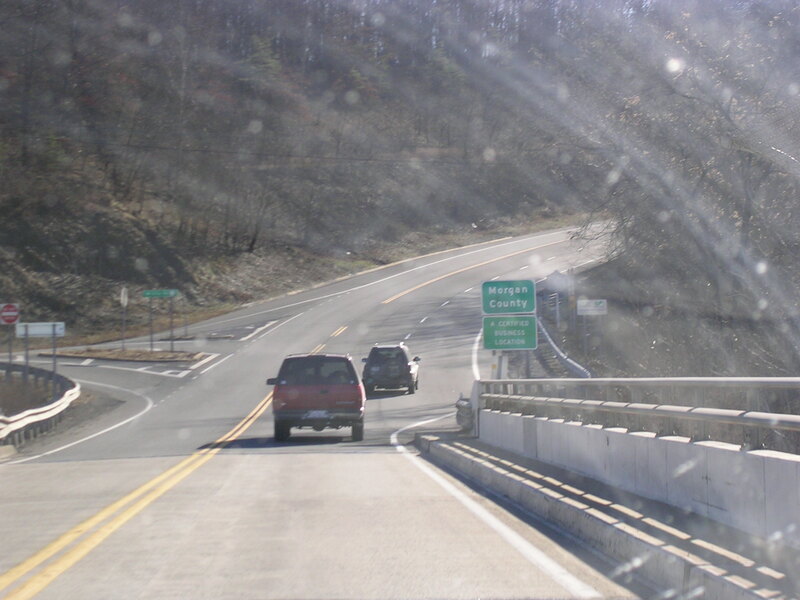 EB on the Penna Pike. 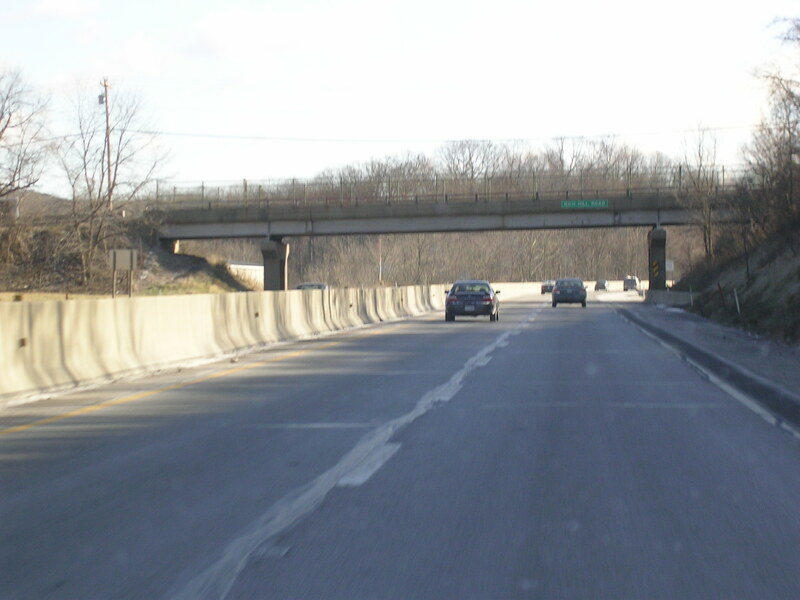 Coming up on I-376 east of Pittsburgh. Too bad the windshield wiper wasn't working right and smeared up the windshield. 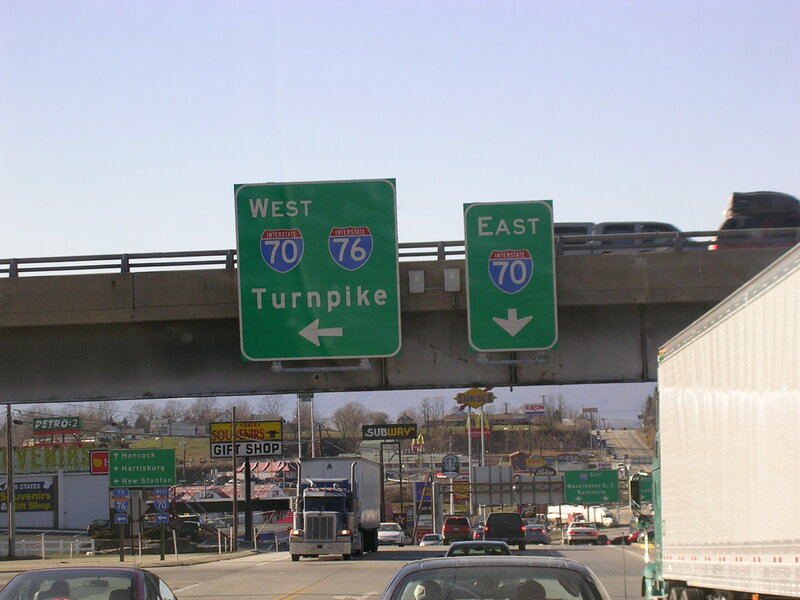 I-70 joins I-76 on the Pennsylvania Turnpike EB. 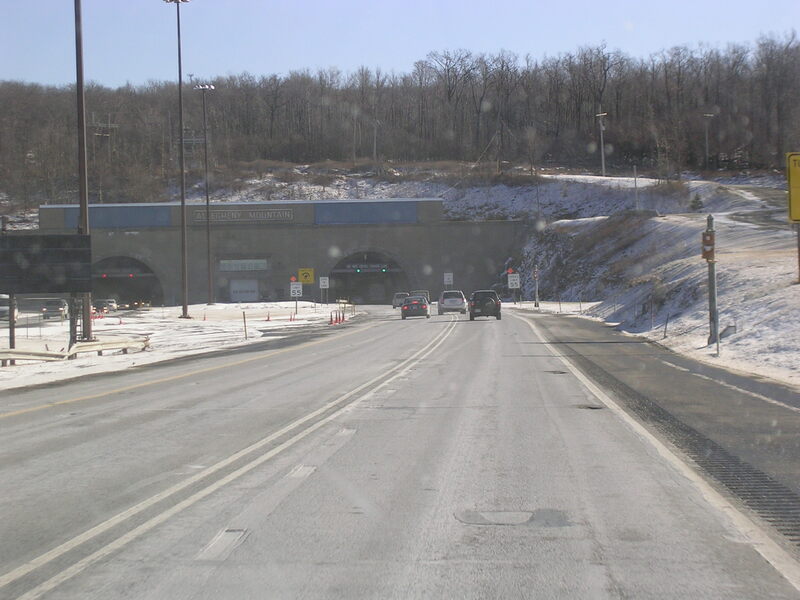 About to enter the Allegheny Mountain Tunnel on the Penna Pike EB. 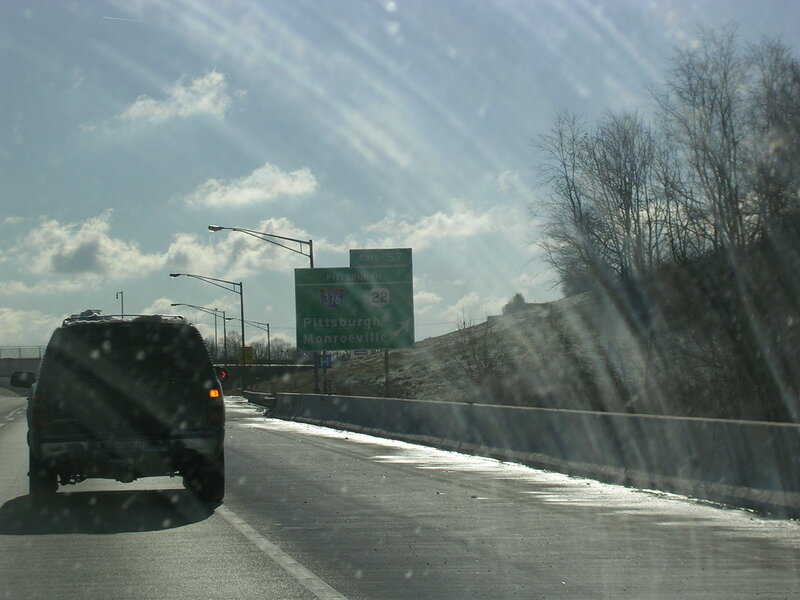 A salty ride on the turnpike. 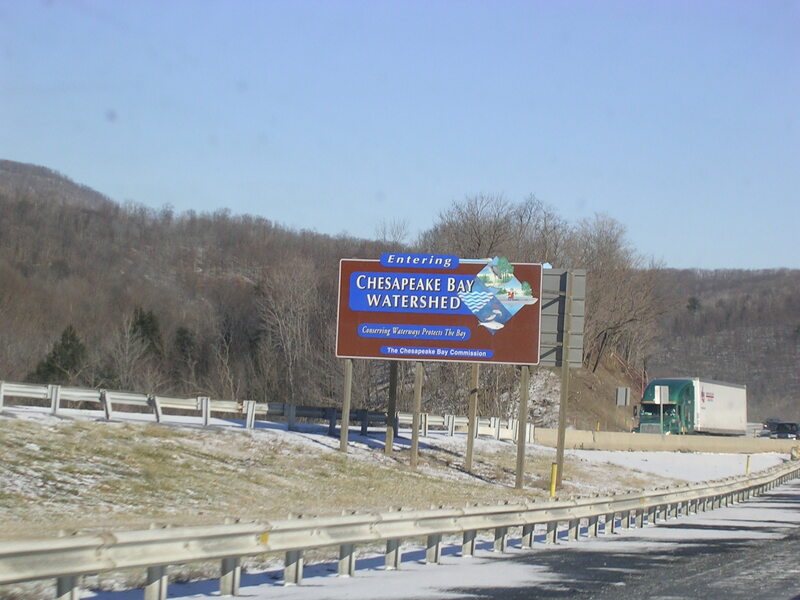 Entering the Chesapeake Bay Watershed. 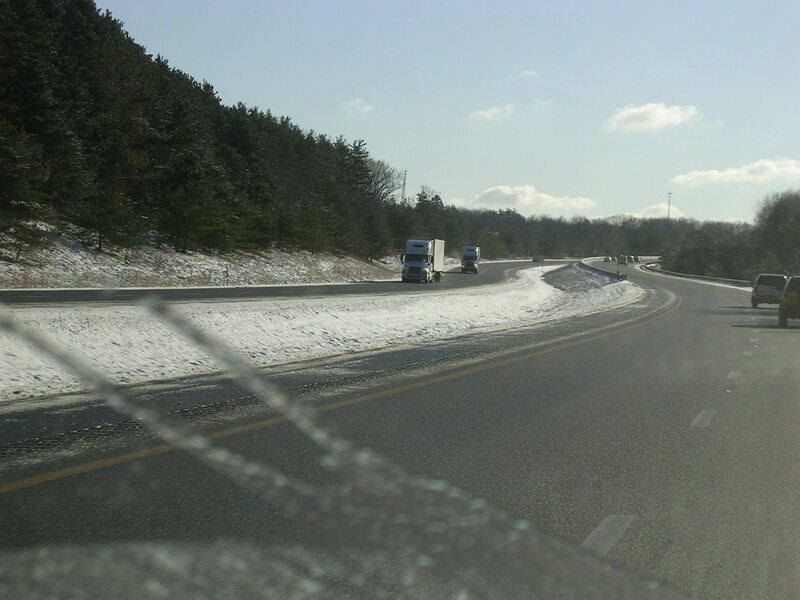 A rather yucky picture of I-99 and US 220. 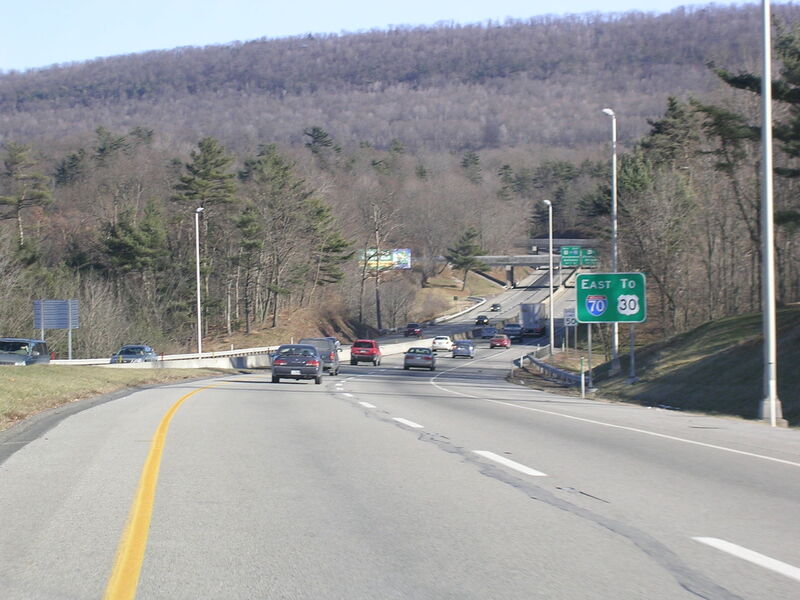 There is no direct connection between the turnpike and I-99. I am part of the "I hate I-99" club. 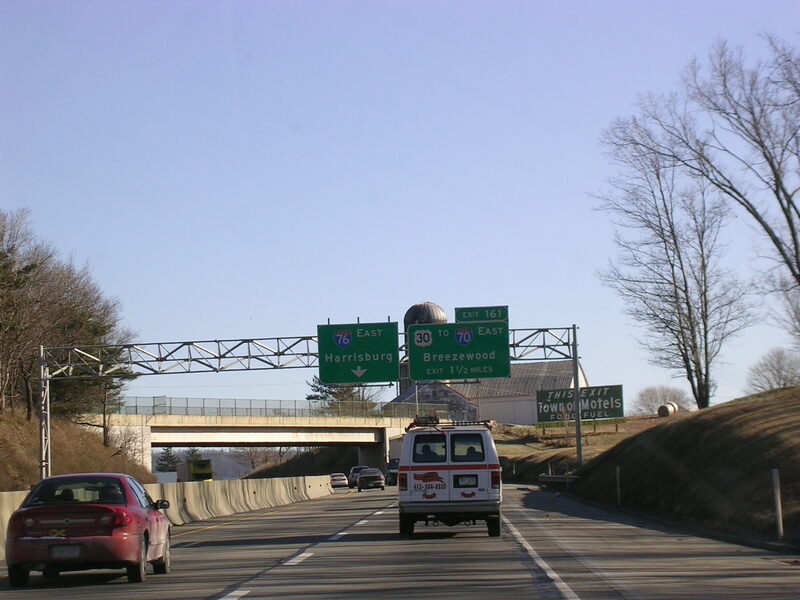 Coming up on an exciting interchange: Breezewood. 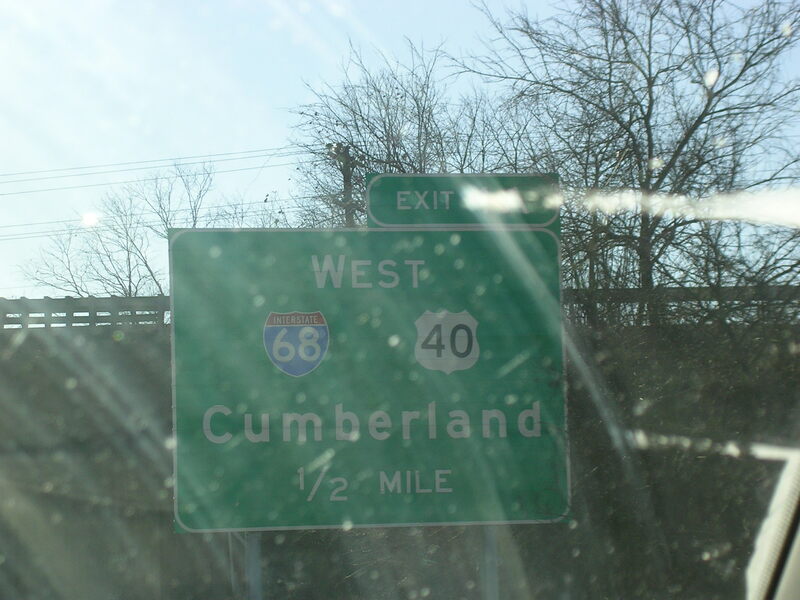 We'll take that exit. 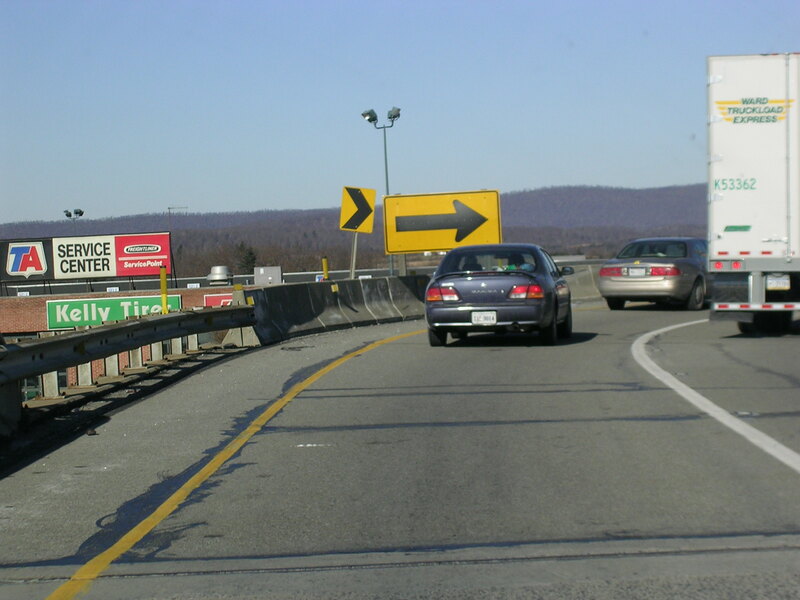 An overhead gantry for the Breezewood exit. 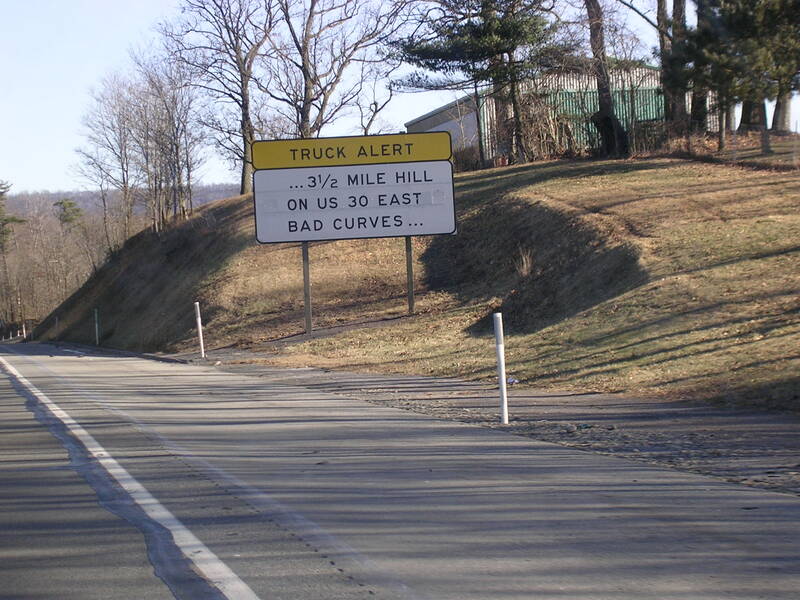 A warning sign on the turnpike for the "bad curves..." on US 30. 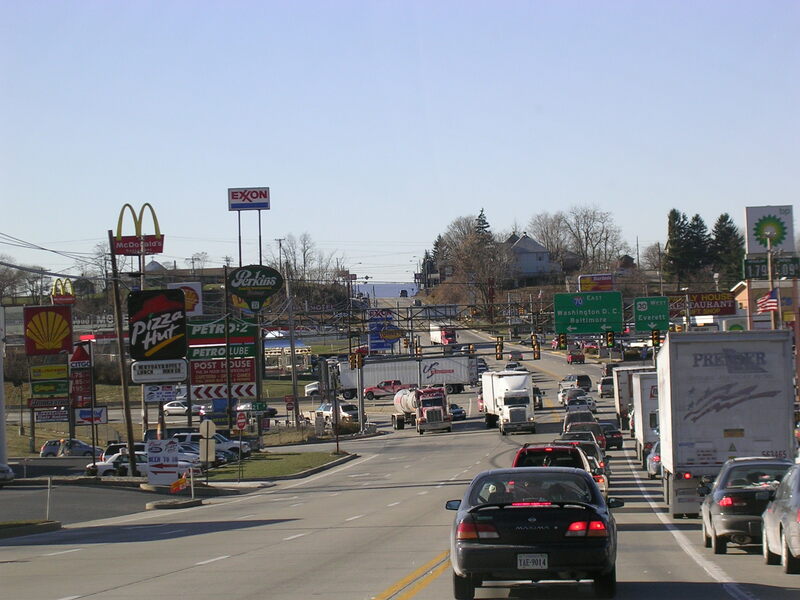 Some Breezewood BGSs have Washington DC as a control city and others don't. This sign has had some cosmetic work done and doesn't mention US 30. 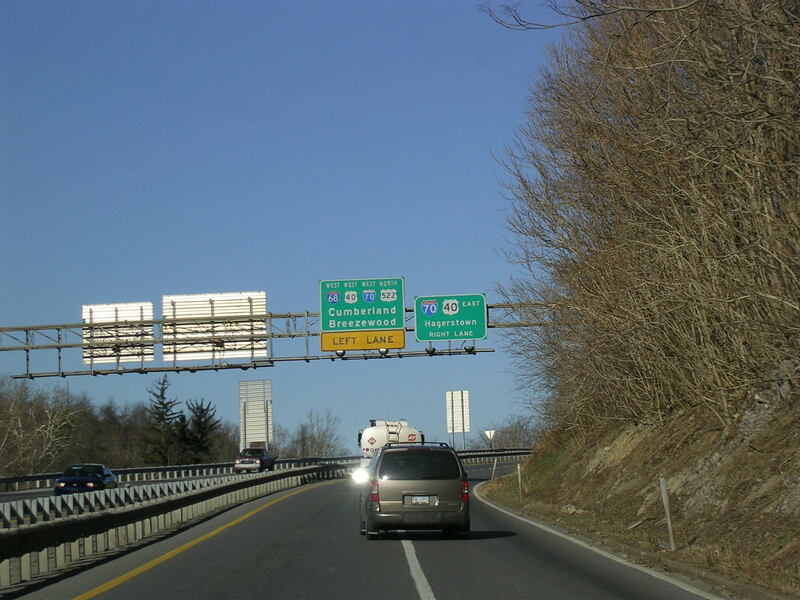 A newer overhead showing the exit for Breezewood. 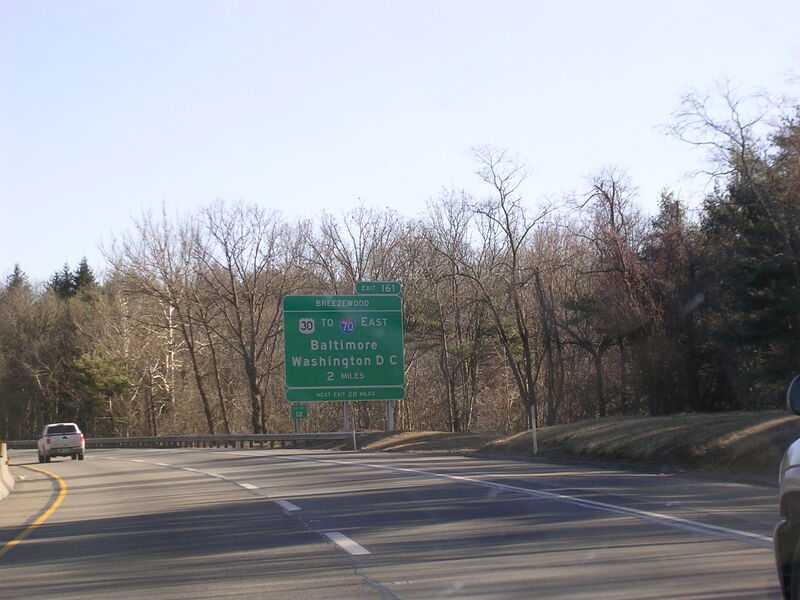 It is not signed as I-70, but as To I-70 here. Kind of inconsistent signage. The exit, finally. 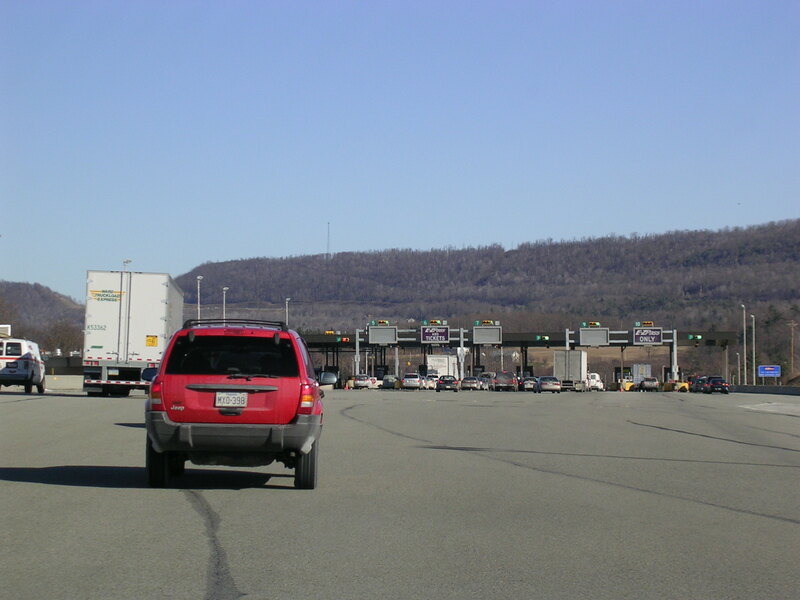 The toll booths at the exit. 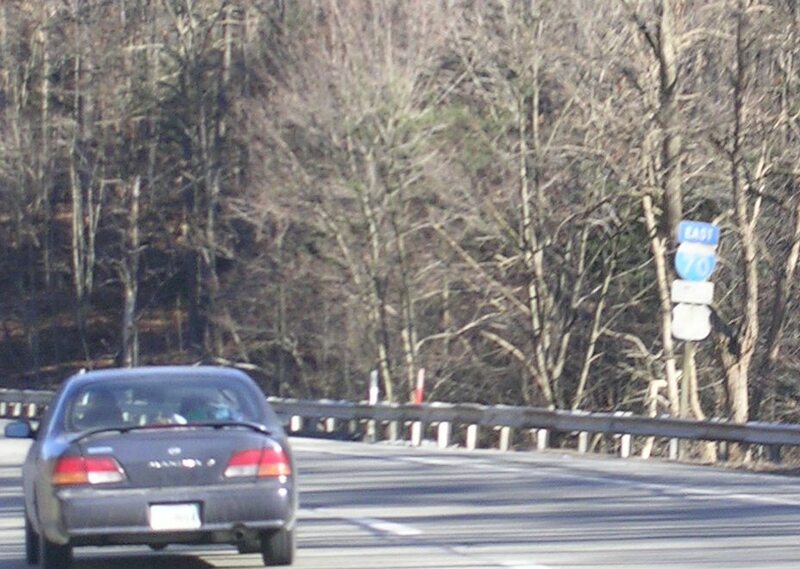 Some really old and faded shields on I-70 East. The US 30 shield is almost completely white. 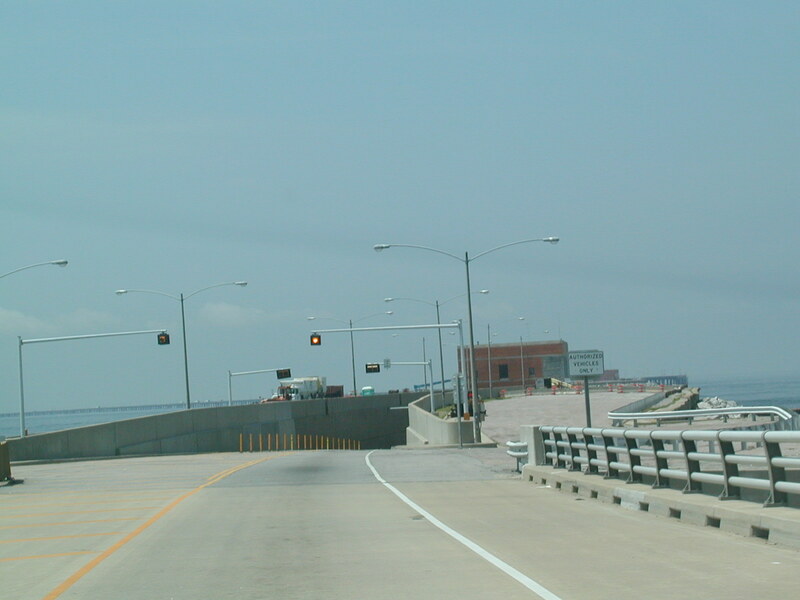 The exit for US 30 East. 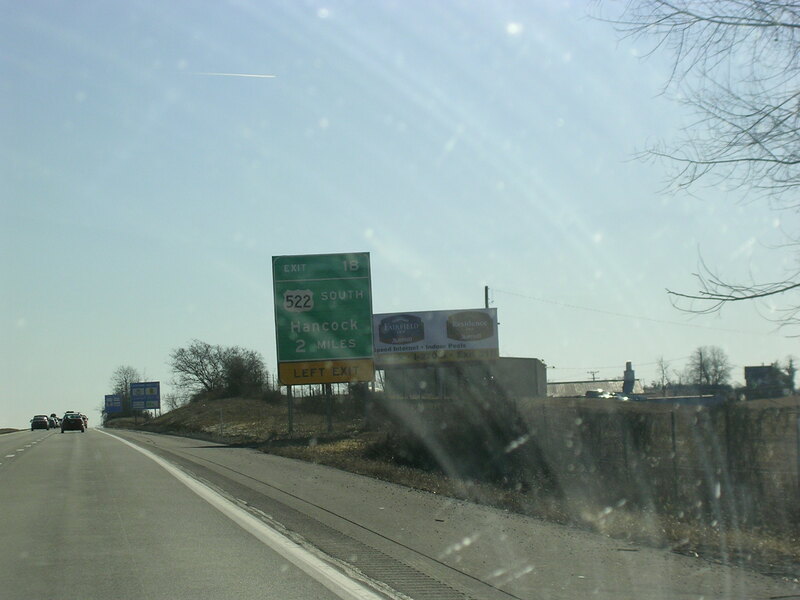 I-70 East and US 30 West come together just after this exit. 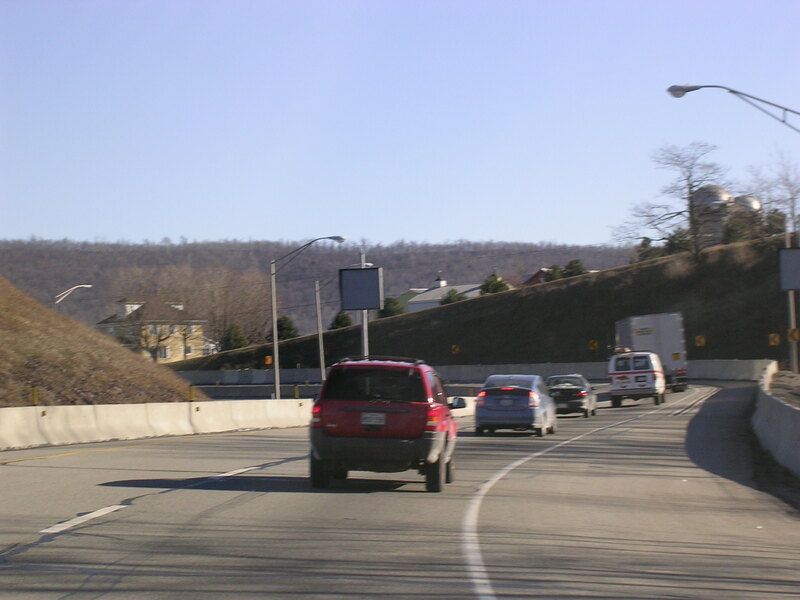 Sharp curve for the I-70 East exit. This is actually I-70 East. 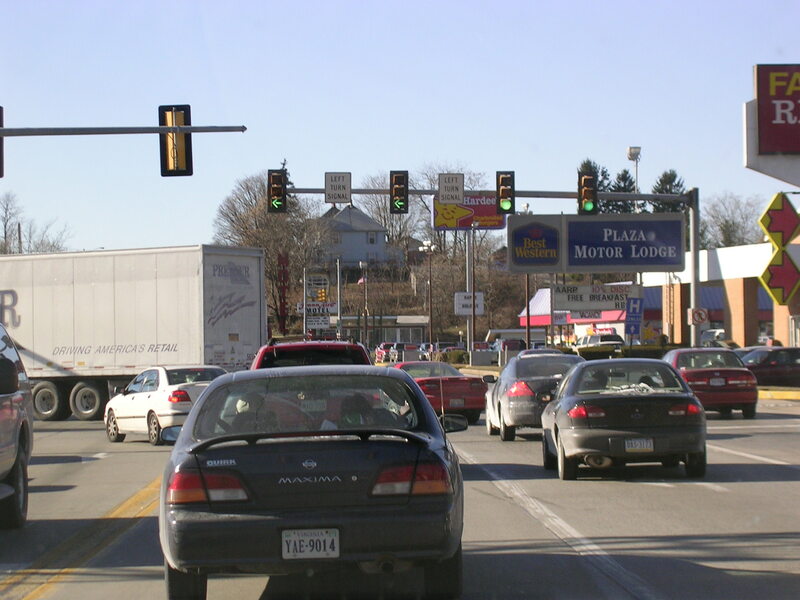 Tons of fast food and a stoplight or two right on the interstate. Cool! 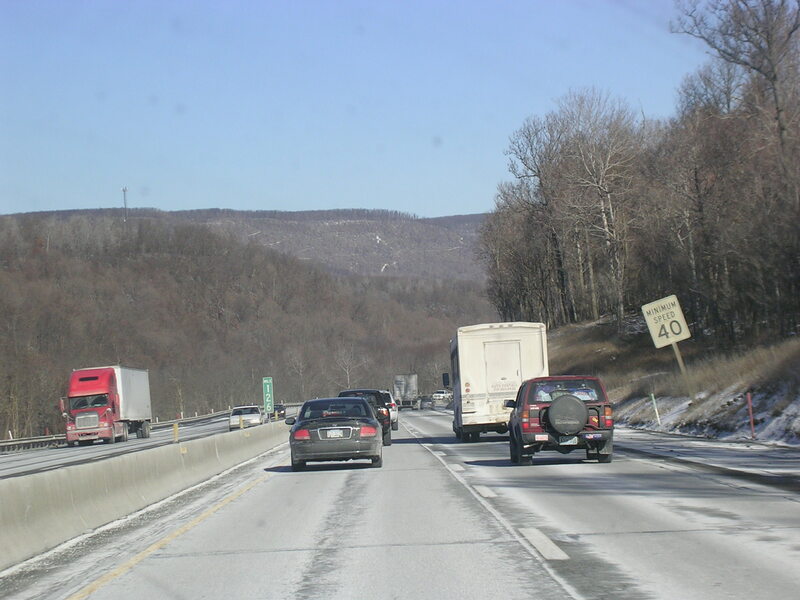 More Breezewood on I-70 East and US 30 West. 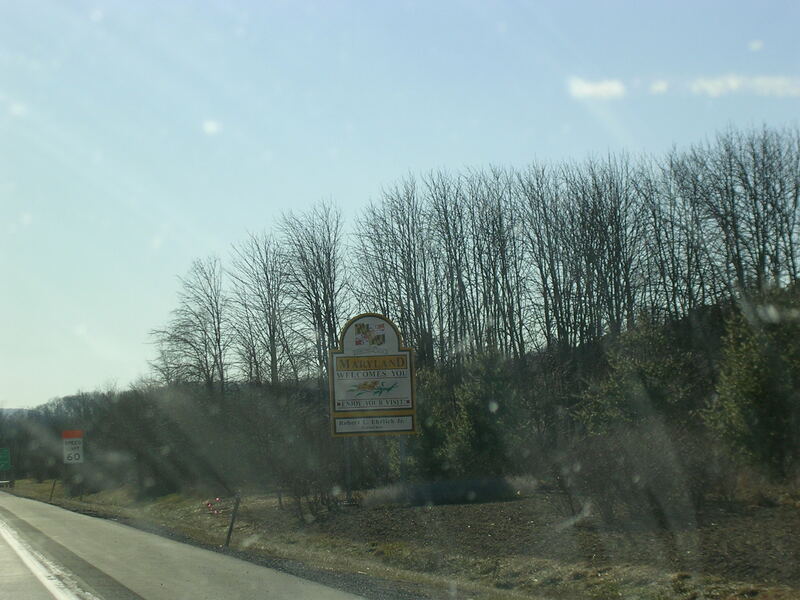 More Breezewood. Turning onto the freeway I-70 now. 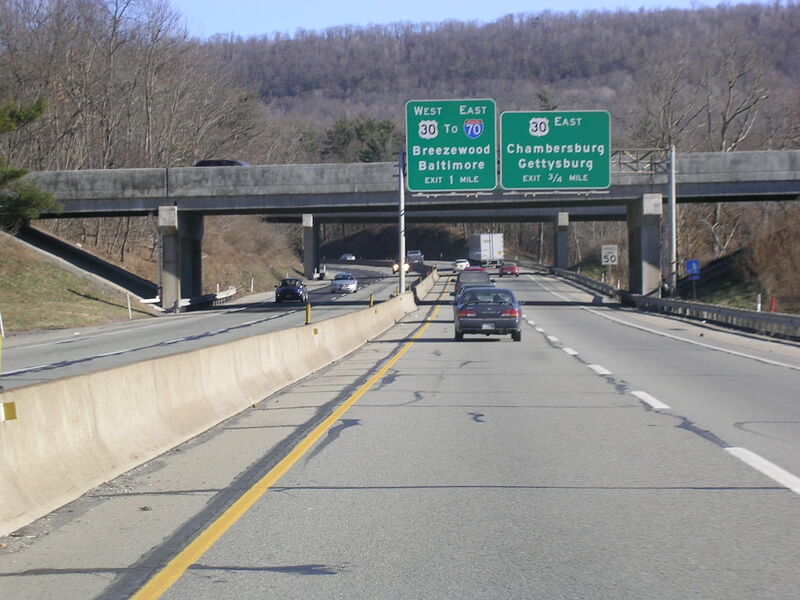 The beginning of the freeway just south of Breezewood. 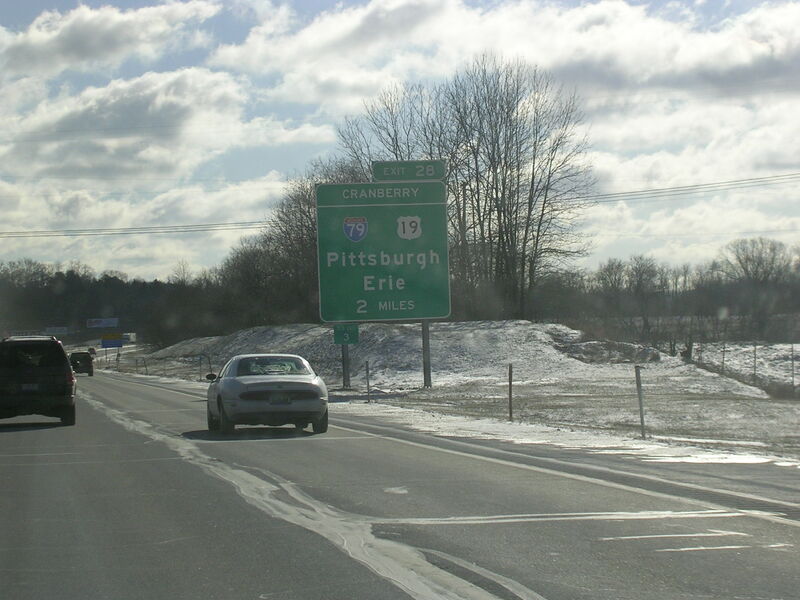 An old button-copy mileage sign on I-70 EB, which is actually southbound for the rest of its stay in Pennsylvania. A scene on I-70 EB. 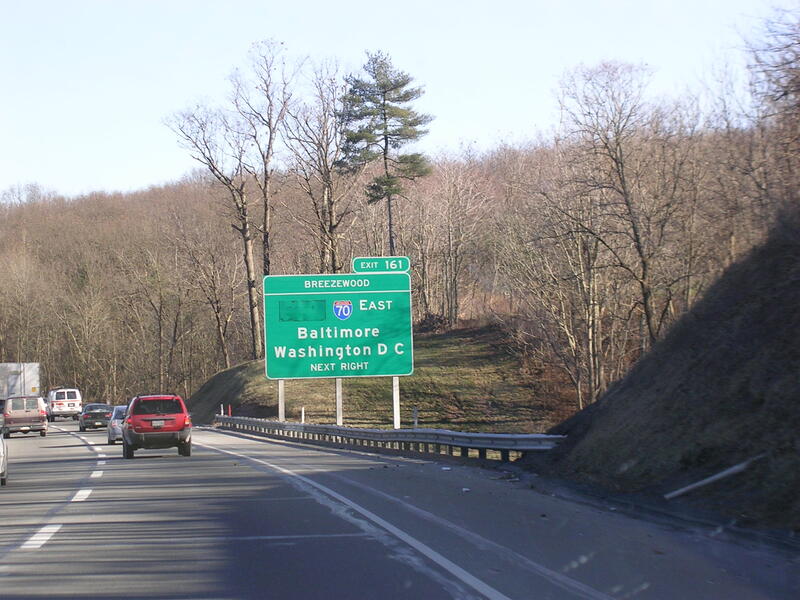 The US 522 exit sign is in Pennsylvania, but the exit is in Maryland. 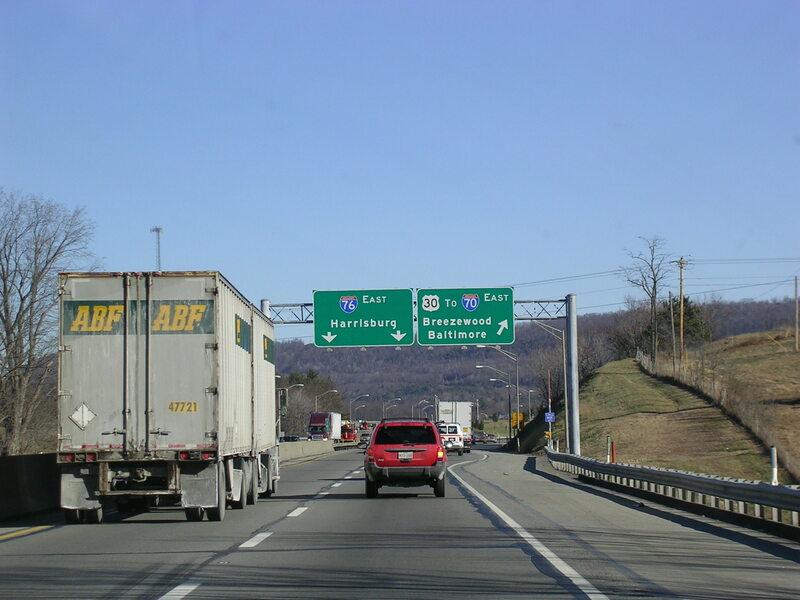 The exit sign for I-68 and US 40 is also in Pennsylvania, even though the actual exit is only 1/2 mile away. Maryland welcomes me. But West Virginia doesn't welcome me. 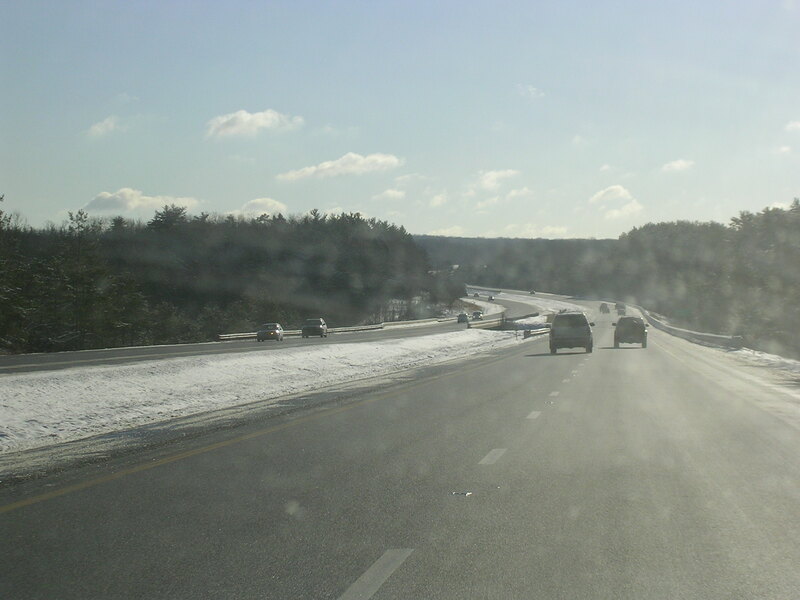 This is US 522 south. I turned back around here. 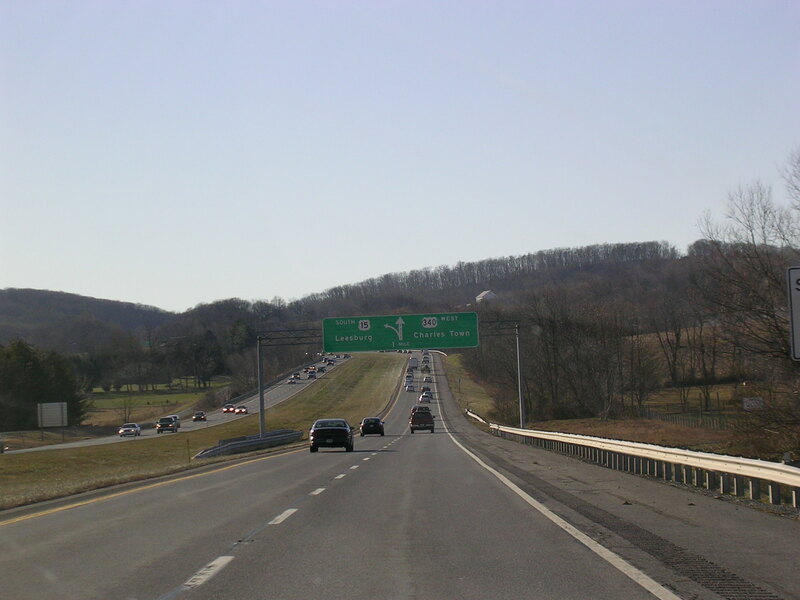 US 522 North at I-70, I-68, and US 40 back across the Potomac in Maryland. 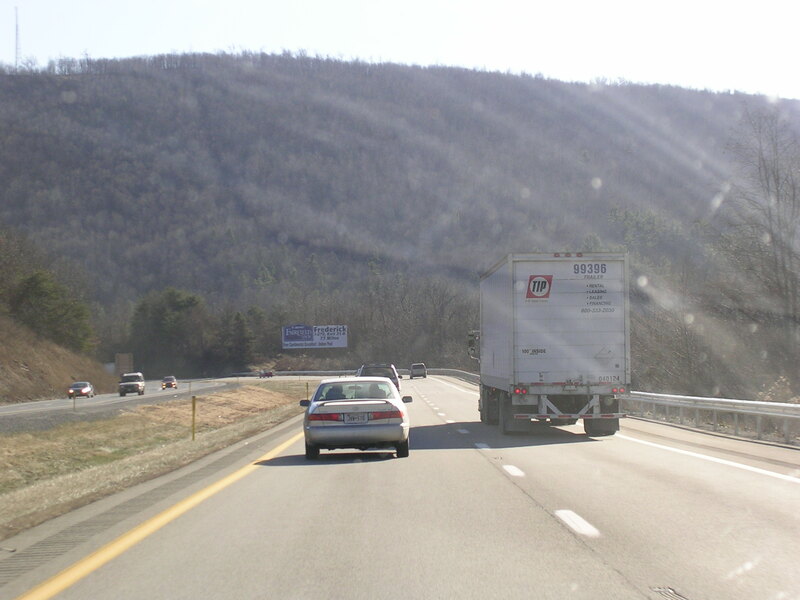 I-70 EB in Maryland. 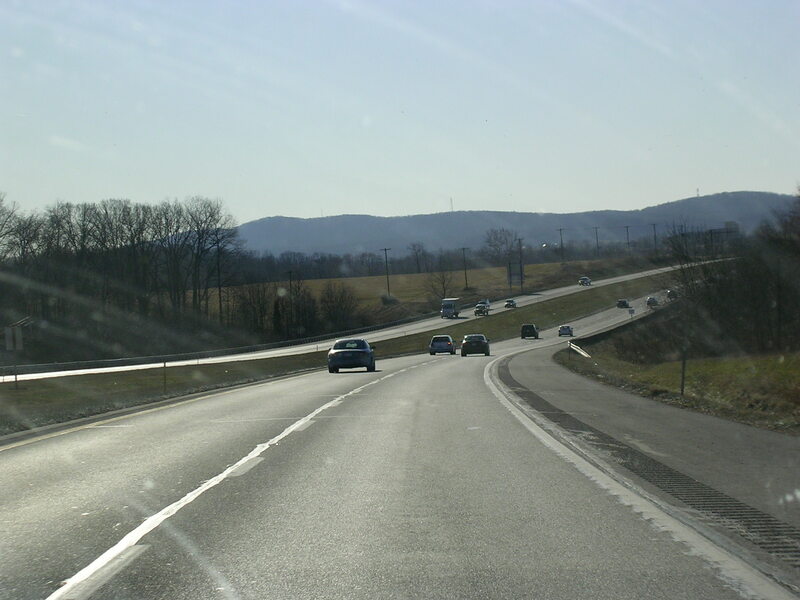 US 15 and US 340 south of Frederick. 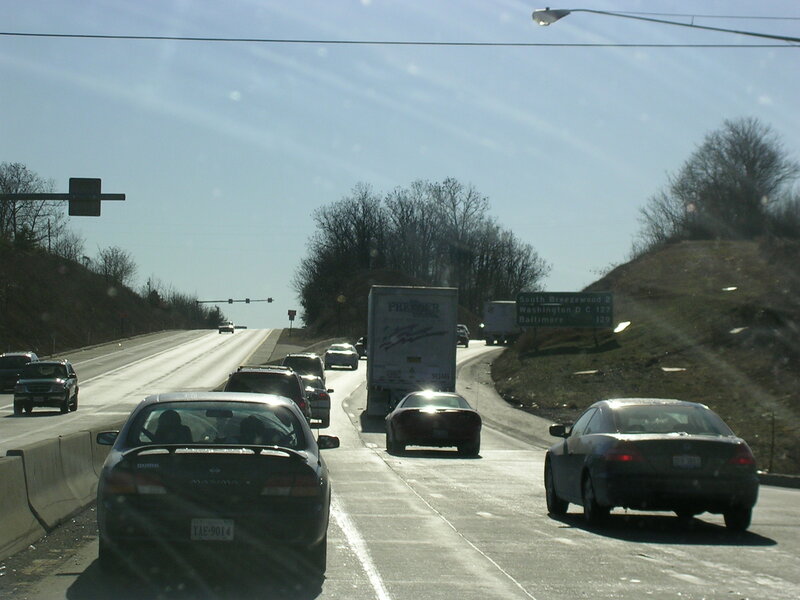 US 340 and US 15 split. 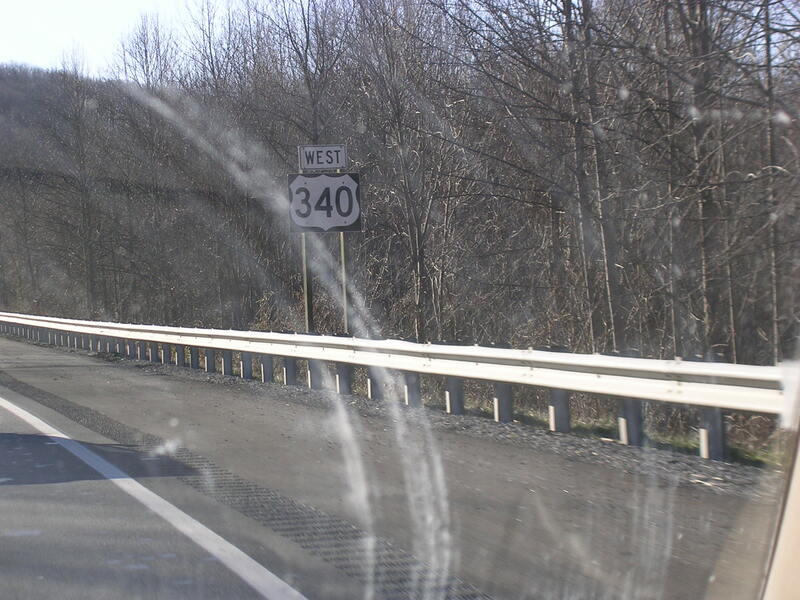 West US 340. 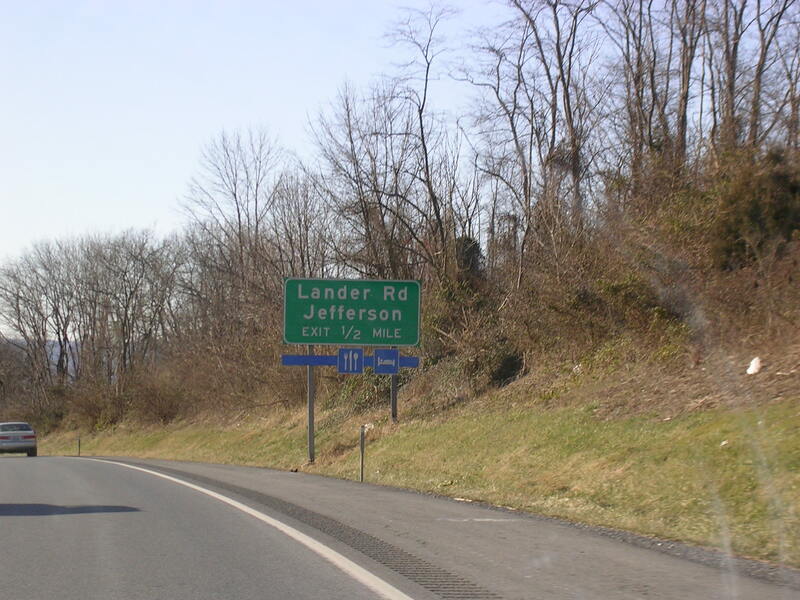 Lander Road exit at Jefferson. 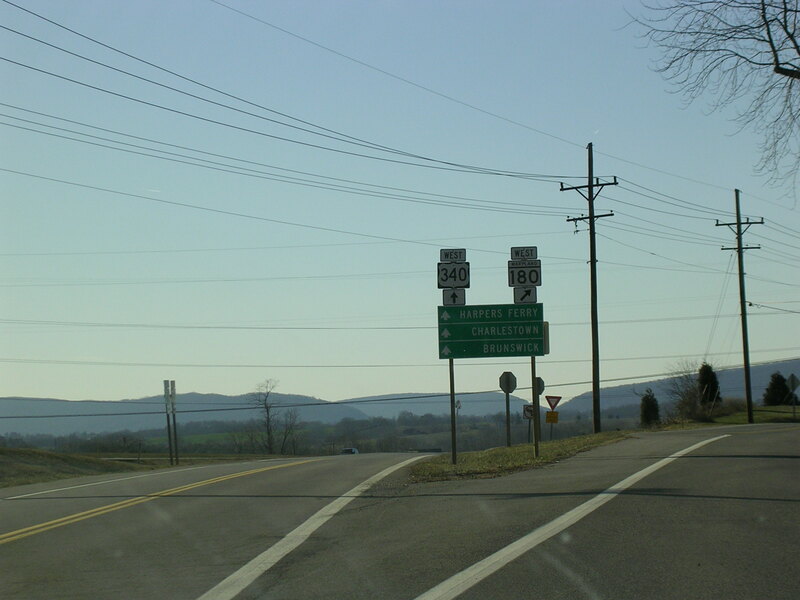 In Jefferson on MD 180 West. 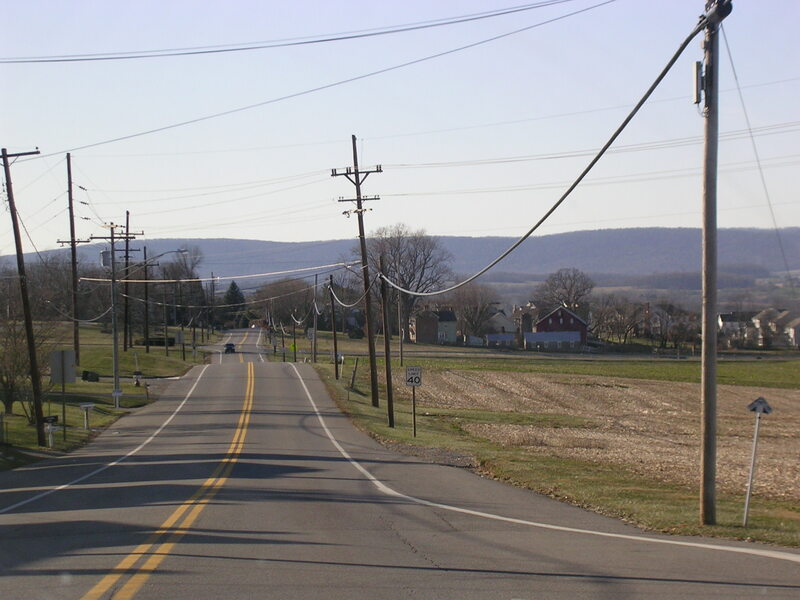 MD 180 WB in the countryside. 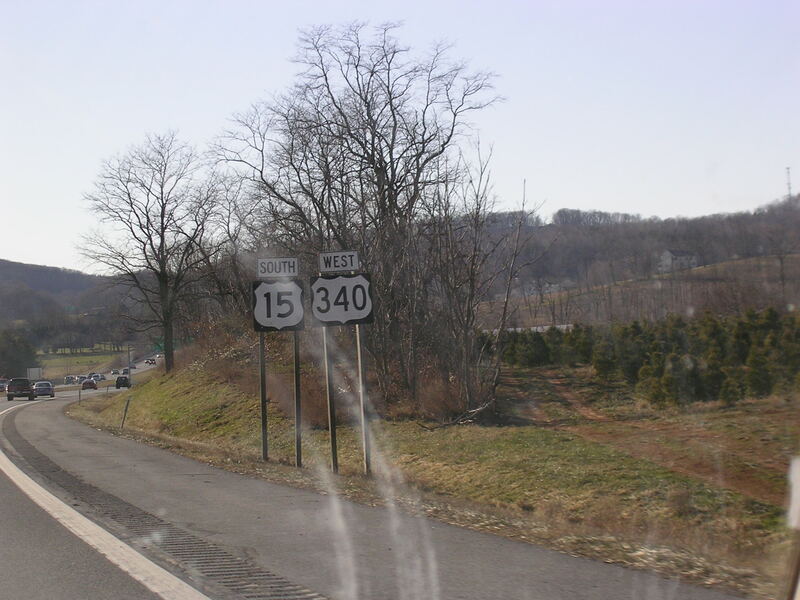 MD 180 connects back to US 340 before turning away. A cool little tunnel on one of the local roads going under the US 340 freeway. It is one-lane and seemingly makeshift, although I'm sure it's safe.